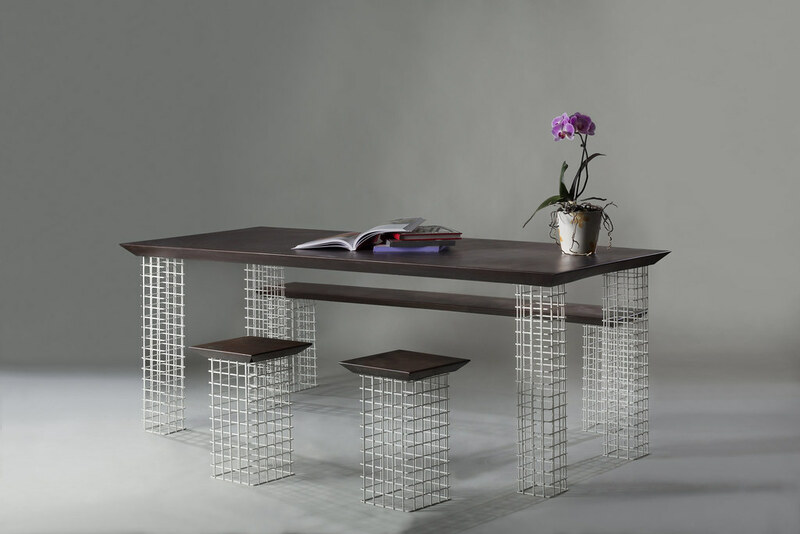 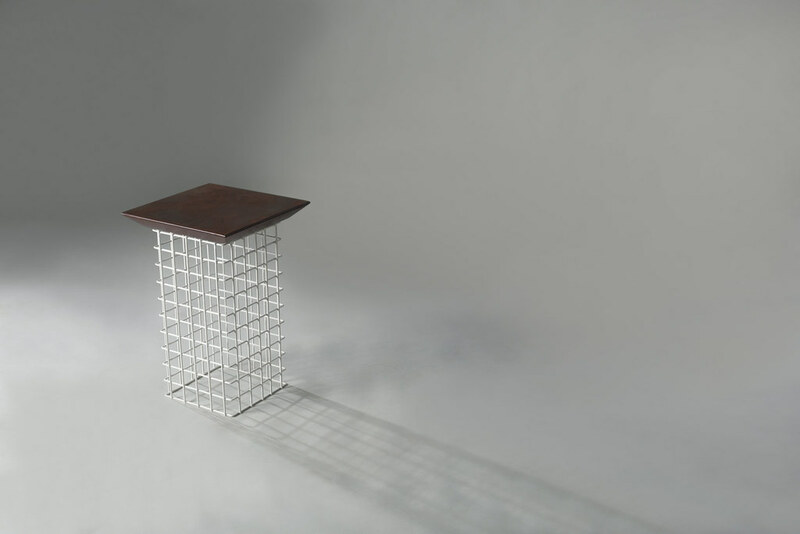 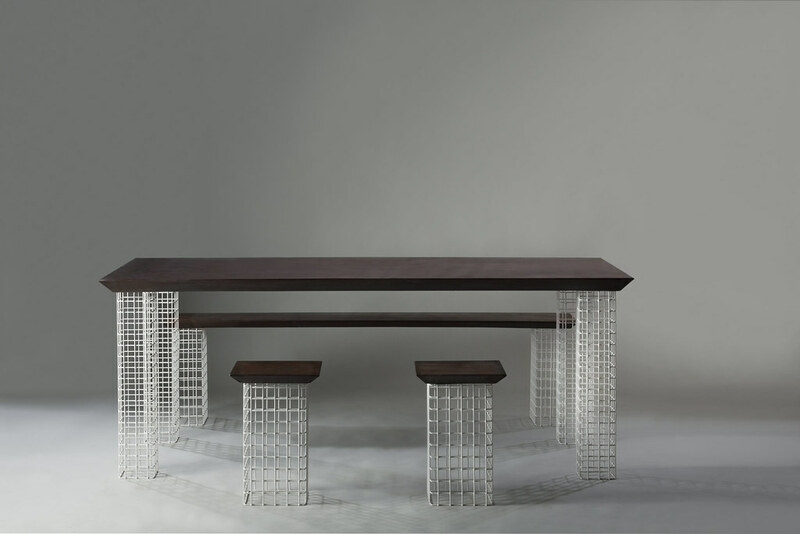 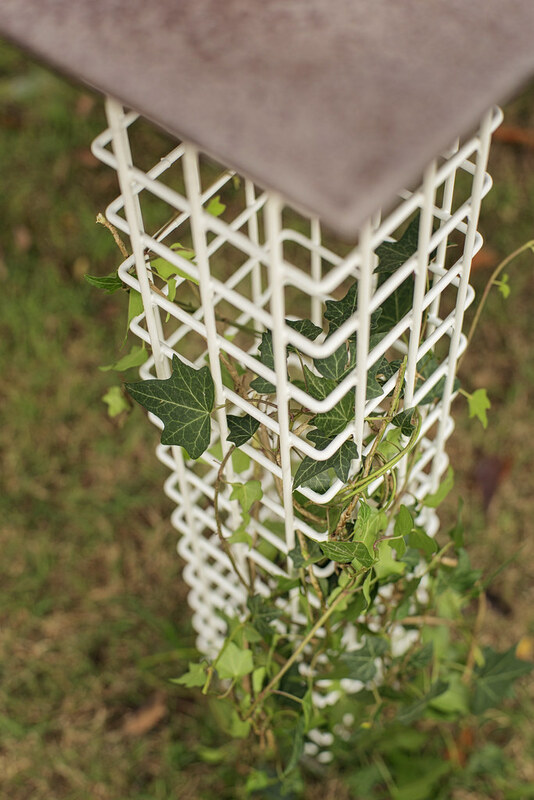 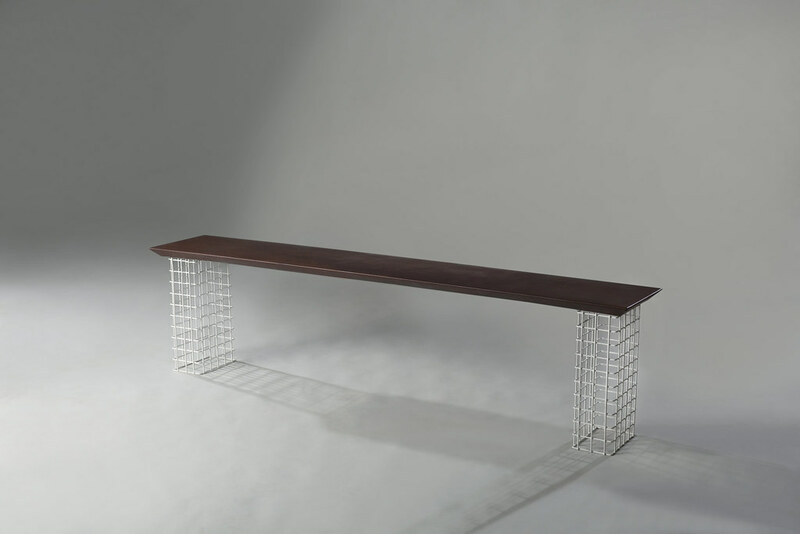 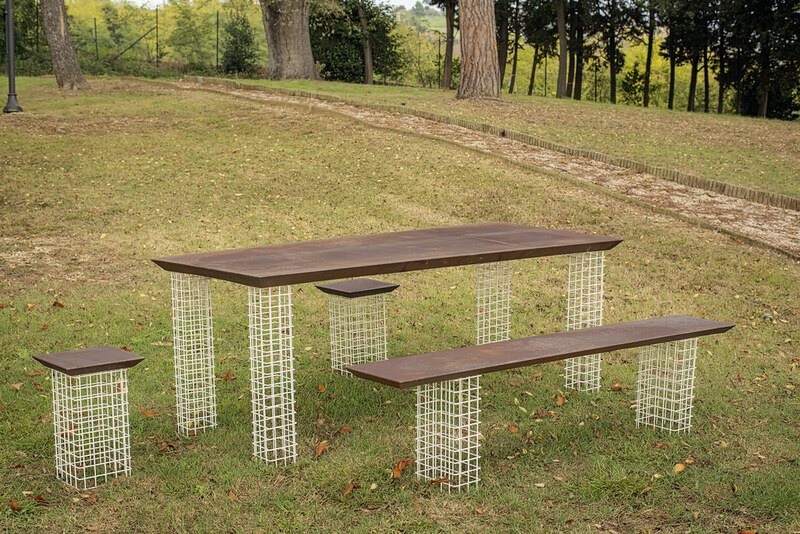 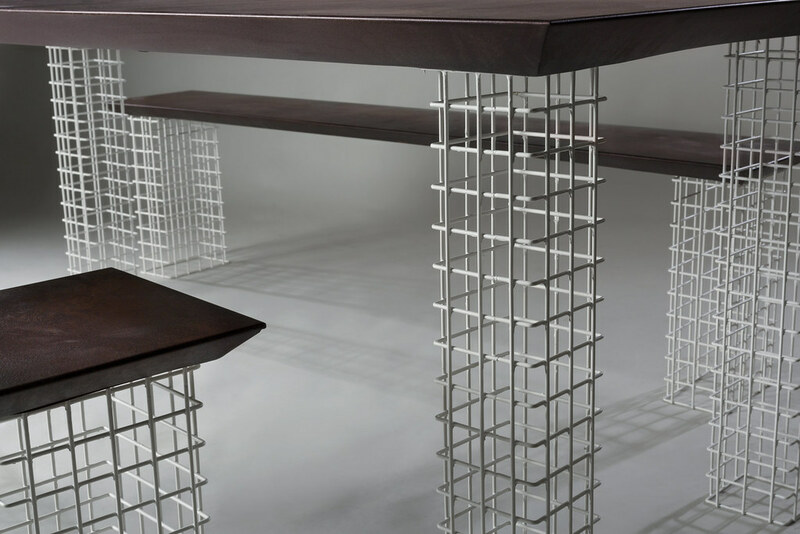 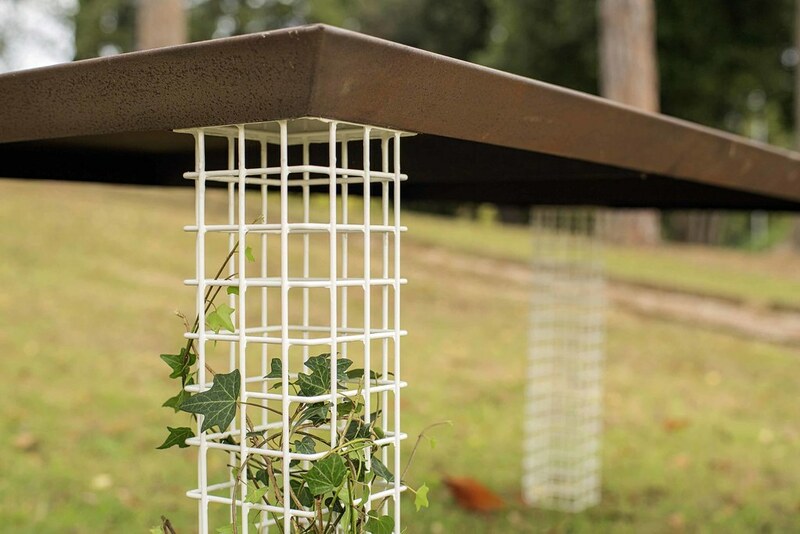 The strong and linear Corten surface contrasts the structural wire netting which will be captured and conquered by natural elements to make the table part of them. 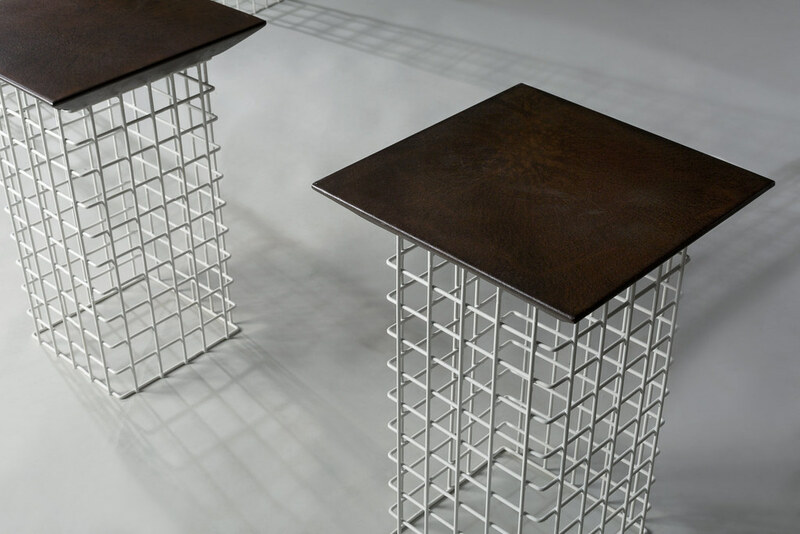 The shadows of the Corten surface evolve and change its appearance, depending on atmospheric agents. A ceaselessly evolving garden table.